The Palmer Eyecare Centers are approved refractive surgery case managers and affiliates for the TLC Laser Eye Center in Fairfield and the Fichman Eye Center in Manchester. Both centers have world-class physicians performing laser surgery in state-of-the-art facilities. The surgeons have performed tens of thousands of refractive procedures. 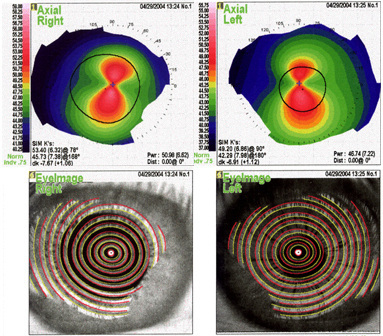 There are numerous benefits in having a local, nearby eye doctor coordinating the procedure. Time and convenience are at the top of the list. Generally, the only time a patient has to go to the surgery center is on the day of the procedure. Pre-surgical workups and the several post-surgical visits are performed at our Middletown or East Hampton locations. Should they desire, patients are always welcome to return to the surgery centers for follow up visits with their surgeons or the staff eye doctors. There is a wealth of information at the surgical center sites listed below. Please feel free to call our office anytime at 860-346-2020 with questions concerning these procedures or to schedule an appointment to determine if you are an appropriate candidate for refractive surgery.